MIMICS Hedge Fund Software has evolved to match today's market requirements. The system manages security portfolios for any type of security, and it maintains margin accounts. An embedded General Ledger System provides all financial reporting for the fund. Accounting is entirely flexible, and the system can handle any kind of accounting transaction. Net Asset Values are calculated in the fund portfolio, and are seamlessly integrated with the transfer and paying agent (customer) side. The customer side provides all features of registrar, paying agent, and transfer agent. Extensive and detailed information can be maintained for each customer. Payments can be handled as a group, in several groups, or specifically for individual clients. For example, you may pay most payments by ACH, while also maintaining a group for reinvestments, with the exception of three customers who are always paid by check. With the MIMICS Hedge Funds System, you can manage any number of funds on the same system. The funds that are being managed can contain any type of security. For example, the portfolio can contain fixed income securities, fixed income derivative such as CMOs and mortgage backed securities, equities, equity derivatives, and foreign exchange transactions. The system manages income from dividends, principal, and interest. Recurring and other expenses are maintained. All revenues and expenses are posted to the embedded General Ledger System. The system provides performance reporting and cash flow projections. This data can be printed on reports, viewed on the screen, or viewed or printed as charts. (See MIMICS Portfolio Management System). A trial balance can be printed at any time since all of the accounting is done in real time. According to your schedule (or ad hoc), a Net Asset Value and NAV per share are calculated. MIMICS Hedge Fund System also manages the customer side of the hedge fund. The system provides all features necessary for the registrar, paying agent, and transfer agent. The system verifies the fund requirements when the customer information is entered. For example, it can verify nationality and net worth requirements. Transfers can be made between individual or multiple holders. Settlement dates can be set in the future. Shares can be restricted according to parameters set by the user. Payment can be made by check or direct deposit. Statements, acknowledgements, confirmations and any other form desired are printed for holders. This feature is applicable any time a number of funds are used with an investment strategy already established. The asset allocation system does the investment distribution for you. The concept is so simple, but the handling is so time consuming if done manually. 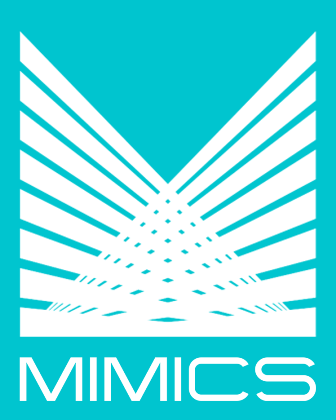 MIMICS has automated the process for you. MIMICS Hedge Funds System allows you and your customer to decide the distribution of investment dollars, based on whatever criteria you supply. The system will invest all contributions automatically, based on the model portfolio you develop. When it is time to re-allocate, due to any circumstance, it will automatically make the appropriate redemptions and investments.